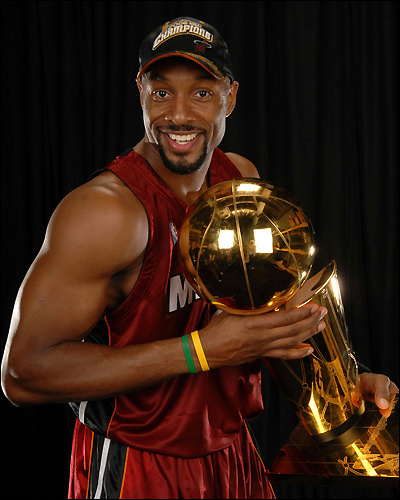 Miami Heat legend Alonzo Mourning has been announced as a keynote speaker for this year’s 2nd Annual TigerDirect’s Innovation 2015 Conference that is happening on November 6th at Marlin’s Park in Miami, Florida. For those who decide to attend there will be an opportunity to meet with some of the very best technology manufacturers in the industry and also partake in workshops that focus on finding solutions to issues, and increasing sales and profits. Mourning is expected to discuss the leading tech brands in the world, and get into how using a sports mentality of winning can help entrepreneurs also win in business. The 2006 NBA Champion got his basketball career started at Georgetown University and was even named the Player of the Year during his senior year. He entered the 1992 NBA Draft and was selected by the Charlotte Hornets as the 2nd overall pick. Mourning played with the Hornets for three years before going to the Miami Heat for his first term of seven years. In 2003-2004 he was on the New Jersey Nets before going back to the Heat for the remainder of his career which ended in 2008. The seven-time NBA All-Star player currently resides in his home in Florida where he also does occasional charity work. Mourning is going to join Shark Tank’s Kevin O’Leary on November 6th at the TigerDirect’s 2nd Annual Innovation 2015 Conference in Miami. If your company is interested in finding out availability and booking fees for a retired professional basketball player like Alonzo Mourning or other sports celebrities for an Conference Speech, Product Promotion, Guest Appearance, or Basketball Camp, call us at 1-888-246-7141.